Read more from four of our Semi Finalists below. A barrier is to design based on assumptions you make, whether they are very well-intended or not, it is hard to imagine an older adult’s perspective. By setting older adults apart as very different people compared to ourselves, we may come up with health solutions we won’t be happy with ourselves. However, as a user it may be difficult to ask for something that is not there yet, that’s also difficult to imagine. That’s why a challenge (barrier) for designers is to facilitate this process of creative thinking towards new innovations. – Walk it! As sometimes happens, one of the barriers we identified when designing solutions for older adults is also a strength. When we were in the design phase that led to Refresh, we found it difficult to design a single product or service for older adults as they are, as a group, incredibly diverse and challenging to design for collectively. Each person we co-create with has their own individual needs, interests, strengths, difficulties, desires and cultural background. We learn from each and every person who joins us in our research. – Refresh by How Do I? The Smart Ageing Prize is a way to in-depth discuss your idea with different experts. By practicing your pitch and listening to pitches of others, you gain more knowledge on specific values you offer. By being very clear about your values and how you differentiate yourself, you can more convincingly target the end-user. Also, the Smart Ageing Prize provided me with many business-related insights both from learning from peers in a group setting as from the business coach 1:1 meeting. – Walk it! Participation in the Smart Ageing Prize is integral to the commercialisation of our product. So far, taking part has given us the time, motivation and coaching to dig deep into the business planning for Refresh. We would love to win the prize as it would speed up our progress exponentially and get Refresh into the hands of more people sooner, taking our commercial planning and turning it into a commercial reality. – Refresh by How Do I? There are many health tracking apps on the market, but this walking app is specifically tailored towards older adults and their specific interests. Simplifying to the core has been the main area of interest: what is absolutely needed and what information can be left out to make the screen less cluttered. In addition, the why was identified: recording nice walks both in the neighborhood as well as city trips, enabling the user to have an overview of their physical activity level and get inspired by more beautiful walks to make. – Walk it! Support for step-by-step life skill task completion is nearly always done by prompting from one person to another. Person to person learning is not the best approach for those with memory difficulties who want to maintain the dignity of independent living for as long as possible. 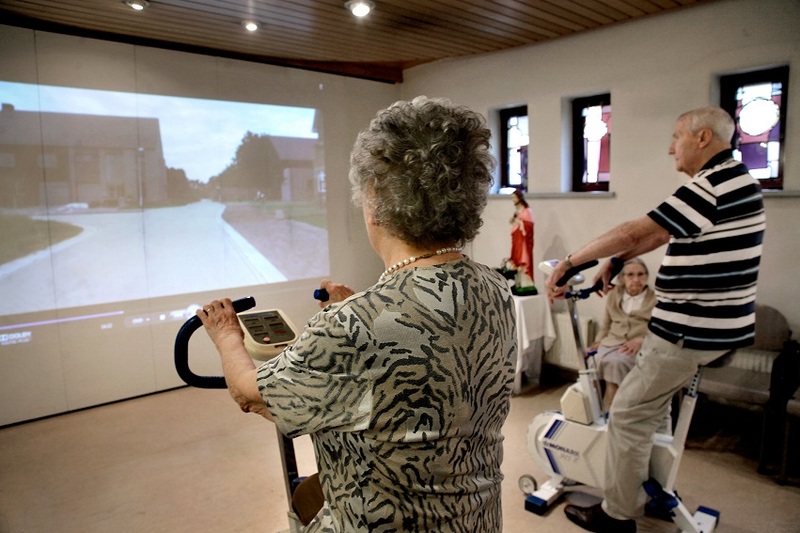 Additionally, professionals in the field have identified a problem with reminiscence resources – they tend to lack cultural relevance for large swathes of the population. Our users are also able use the app as a personalised reminiscence resource, linking video or audio content from their own lived experience to any object – like a calendar, musical instrument or photo – bringing it life and adding an additional dimension of sensory feedback to their experience in a completely personalised, culturally-relevant way. – Refresh by How Do I?